Krum, Texas is a small community just under 50 miles northwest of Dallas and seven miles northwest of Denton, Texas. Situated in the midst of horse country in Northern Texas, it’s the perfect place to live out your Golden Years in peace and quiet. While some retirees may prefer to retire to a more traditional retirement town along the coast, you might not be one of them. Maybe you prefer the thought of retiring to a family-centered community where you’ll have peace and quiet – rather than endless noise and events for seniors. If that’s the case, Krum should definitely be on your list of top places to consider when it comes to retirement. This small town offers the perfect blend of suburban activity and rural quiet. Plus, it’s not a far jump from Dallas, which means you can always enjoy more bustle in the city when you would like to – without having to live in the middle of it. The community of Krum is a warm, welcoming one, and it has doubled its population in the past several years as more families and retirees have moved to this small town. Despite the population boom, Krum is still a very small, tight-knit community and remains a quiet place to live. In Krum, you’ll find several religious institutions – mostly churches of one Christian denomination or another. These churches often run excellent social events for people of all ages, including retirees. The public library also offers a place to meet with others and to enjoy community events. If you enjoy athletics, join in the fun for Friday night football at Krum High School’s relatively new football stadium. The school has only had a football program since about 2009, but it already runs one of the only 7th, 8th, and 9th grade football programs for a school its size in the area. While the football program is still just getting off the ground, the school’s basketball program is one of the best in the area. The entire community gets involved as the boys’ basketball team, one of the best Class AA programs in North Texas. The boys were state champions in basketball in 1971, 1978, 1994, 1996, and 1998, so this program has a long, rich heritage to draw from. Other athletics that draw plenty of community involvement include baseball, softball, track, and cross country. Cross country is another great program in Krum, with the high school enjoying the title of boys’ state champion in 2003 and girls’ state champion in 2001 and 2002. Besides churches and school athletics, this who live in Krum also enjoy getting together and shopping in the town’s various restaurants and shops. The locally-owned shops in the downtown area include Ms. Carolyn’s Attic, Flower Shop LLC, The Backdoor Music and Guitar Parlor, Outback Market, and Krum Feed and Seed. Downtown area restaurants include Bobcat Planet Pizza, Golden Chick, Subway, Pizza Hut, Mark’s pizza, and Miguelito’s Mexican Restaurant. As you can see, the community of Krum is an excellent one for retiring, so if you’re considering retiring to a rural town, check this one out. 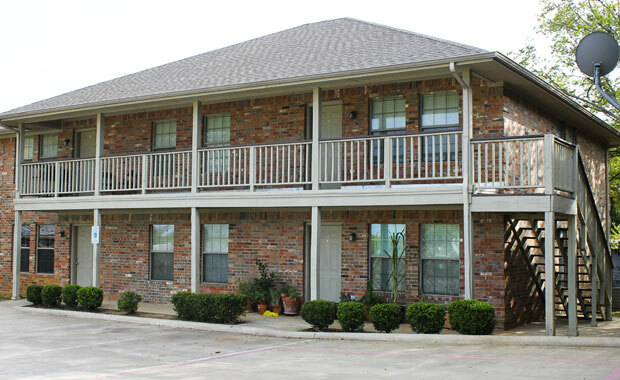 And while you’re at it, have a look at our comfortable, fully-outfitted Krum Apartments. These lovely apartments feature all the amenities you could want, as well as two bedrooms so that you’ll have plenty of space. If you’re interested in checking out Krum in general or Britton Street Apartments in particular, contact one of our helpful customer service representatives today.